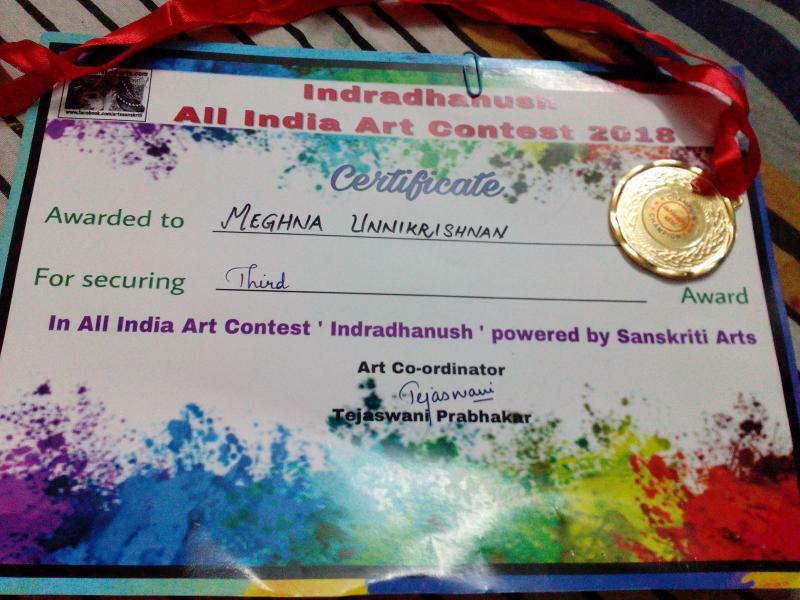 Won 3rd Prize in Sanskriti Arts Indradhanush All India Art Contest 2018. The theme was open and the participants need to paint their thoughts using VIBGYOR Colours. 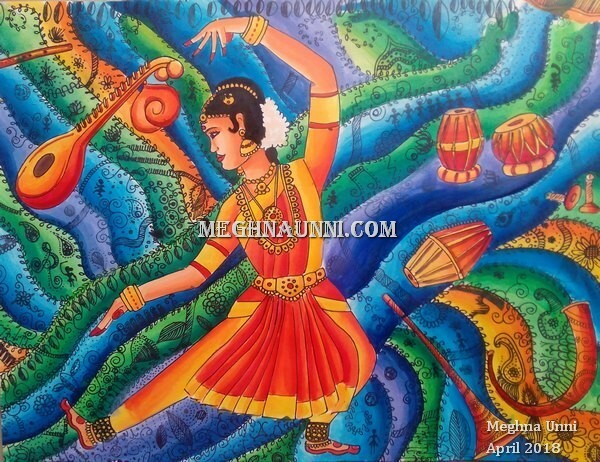 I painted the dancer picture with the doodle background for this contest. Won Cash award of Rs. 500/- along with medal and certificate.